I’ve had BJ every year since we have both played (fantasy) baseball …most frustrating player I have ever owned…but I will own him again this season because one of these years, he’s gonna make me forget about all the cursing at the stat-tracker after two “swinging strikes” followed by a “strike (looking)”…he’s gonna make me cry tears of joy and give me an MVP season! Aw, this is where it all starts coming together. This is the pork gently smoking on the Weber. Great stuff, Grey. The fight for 1Bs in the RCLs is going to be something to behold. Why do we all keep chasing Jay Bruce’ first month of his career? Can’t get that sweet swing out of our mind. Grey in a 12 team h2h league what’s the earliest you would draft your corner infielder? Grey, Miggy for CarGo in a dynasty? “Highlights” preparing you for the day you lose your pencil in the trunk of a tree. 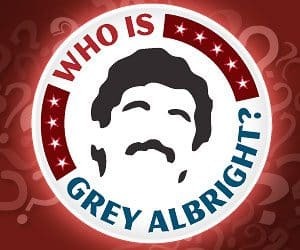 Grey is there any truth to the rumor Wainwright has a balky elbow? Heard he might have to be monitored at start of spring training which is a shock to me since I have him as a keeper. You’d be surprised how many people miss this point when looking at (or discussing) rankings. What else do I want outa AROD? i want camryn diaz to feed him popcorn…. oh wait….. I really hope Brian Wilson falls to me in one of my drafts. I wont take him early, but I REALLY enjoy listening to him talk in 3rd person and he has a sweet beard. Grey whats your AB projection on GRADY? Great top 100. Copy. Paste. Into the fantasy notebook it goes. Braun’s projections are better in every way over Longoria except for one less home run…is the higher ranking for the position? To add to my already awesome point, his numbers are better than Votto’s in every way except for AVG. Are you just anti semetic? Highlight of the post: April of 2010, he had Moises Alou pee on his hands.” Almost an actual LOL at work. How much do I like Grey’s top 100 for 2011?? I think Moises Alou definitely must have recently peed on Grey’s ‘stache. I love the “druthers” lines the best. They always crack me up. Looks pretty close, but Ubaldo or Hamels in 2011? If you leave the first two rounds without a 1B for some reason, which guys are you really targeting in the 3/4 rounds? 48. Adrian Beltre gets a Trading Places quote. You need to do an entire post spoofing Jeopardy’s Potent Potables category: Potent Quotables. You rank Pedro Alvarez over ARam, yet expect ARam to have better numbers. Now, I just want to confirm: is it because that’s ARam’s ceiling, but Pedro’s floor? Drinking the kool aid and wearing a I <3 Andrus thong is very dangerous. I like him, but not at #44. He does not have a stranglehold on the leadoff spot with that OBP. His SB success % declined markedly last year. He hit 0 homers in 2010? ZERO homers? I would like my SS to at least chip in 5-7 HRs. That allows one of my other projections some fudge factor like hitting 25 instead of 32 this year. His slugging % was .301, WTF? A good leadoff hitter bats .301 not slugs it. Rickey Henderson is rolling over in his hyperbaric sleeping chamber: "Elvis, this is Rickey calling on behalf of Rickey. Rickey could have hit 200 leadoff HRs if he played half the games in Arlington." Yay! Finally the holy grail is released. @Tony: Did that just not wanna make you puke. Just what I needed to see during a Super Bowl. A-Rod being pampered. On a different note, I am already not looking forward to the draft with you swiping all my picks behind me. I don’t want to be “that guy” with the whiny b-b-but you won’t take x but you will take y at a higher draft spot. Not sure why Jeter is unwanted 10 picks later, esp considering SAGNOF. I realize they’re at opposite ends of the aging curve and Andrus could go yahtzee with that line up behind him, assuming that’s the justification? I do not think Detox is ever coming out. I do not think it exists. @Fantasy Bridesmaid: its because of position…. @BKK: HAHA i know, arod is such a terd, and he gets camryn? bleh! What pick do you have gary? I draft 9th…. and yes I will snipe you twice, but then you get to pick before me each round on the way back haha…. bay for hamels again this year? @danimal35: He’s gonna do it one of these years too. @Paulie Allnuts: He has the pedigree that says it’s more than one month. @Mets fan: Depends on lots of factors. @Michael Keneski: That’s the word. But so does Pujols… for the last four years. @Tony: Thanks! That’s a full season for Grady. @Fantasy Bridesmaid: Third base is shallower. @CT Old School: I wasn’t sure if anyone was going to get that. You never disappoint, CT.
@ScottyM: He chipped 6 homers in 2009 and he’s only 22. @carlos marmLOL: Thirty extra steals at SS is concerning to you? @paddytwotimes: I think you’re right. That makes me sad. @BKK: hmm replied but it didn’t go thru…. but yes the Arod scene was gross, boo on camryn, you’re better than that camryn! What pick do you have gary? I draft 9th if I remember correctly. So I’ll snipe you for two picks but you always get to snipe me that pick before…..
@Grey: its going to be a long year for my indians…. @Grey: Where do you envision Crawford batting in the Boston lineup? Because 110 RBIs is a heck of a lot for a guy with average power. I guess you are assuming he bats 3rd, but even if he hits behind a healthy Ellsbury and Pedroia, it’ll be pretty hard to get to 110 w/o 25-HR power. @BKK: i hear ya, arod is wow, arod…. camryn just got knocked down a few pegs. Whats your draft spot? I am #9. Reggie Roby! Ha! What a great line. @Tony: Sorry, guessing an overactive spam filter. @Jay: Guessing third as of right now. Hard to envision a Sox hitter in the three hole not getting 110 RBIs. So who’s the guy this year that you find yourself aiming to get in the middle to late part of the draft? Last year it was Stewart, year prior was Reynolds. Grey, I agree with you about the blah-blahbity-blah about shortstop. I am totally on board with a late Desmond or Escobar pick. My question is can I reasonably Reggie Roby both SS and C? I’m feeling that if I pass up on the shortstops, then I should take a McCann/Mauer type. What do you think? @Back To Minors: Need to see playing time on a few guys in Spring Training. @Rhymenoceros: Rudy and I punt SS and C every year. It’s perfectly fine. @Jamez: No idea who those other two names are. @Michael Keneski: Cards beat write that i trust. @Rhymenoceros: if there’s two positions you CAN punt its those two…..
@Steve Stevenson: that’s a good question that I’d like to know, too. I kept him in a keeper league that uses OBP. @Smokey: Thanks for the heads up! @Rhymenoceros: BTW, Rudy actually covers that topic in his afternoon post. @Rabbit: Good feeling about them every day. Am I the only one concerned about the fact that Stubbs had 28 HR in 1,588 at bats in the minors? @Dracula: No, I was concerned last year, but he’s now shown he hits fly balls and GAB is good for that. @Eddy: Eh, could be motivational for Kimbrel. Venters might get a few vs. lefty heavy lineups. Not too concerned. @Tony: I’m hitting seventh. Yes, we will likely be cursing each other all draft! hmmmm just got position #9 in a 12 team H2H Mixed – what do you guys think? @Tom: Howard, he’ll be there. @Grey: Loved the Marmol and Wainright quotes! Speaking of Auction values, is there a post in the future concerning the aforementioned values? @KeeblerMN: There’s a new post with everyone’s auction value. Back on the OBP league kick, how much value do you see from Carlos Santana this year? Seems to me he’d be similar to Posey (with his higher OBP compensating for fewer R and RBI) at a much more palatable ADP. @Grey: One of the running themes in this post seems to be “Players’ Fantasy Rankings Fluctuate Much More Than Their Career Statistics” (e.g. Sandoval, Oswalt, Reynolds blurbs). So would you recommend doing something extremely daring — drafting a LOT of guys who had sub-standard 2010s? C Ianetta, 1B Howard, 2B Hill, SS Rollins, 3B Reynolds, CI Pena, MI Beckham, OF Kemp, OF Bay, OF Beltran, DH Lind … and so forth? @Steve Stevenson: Yeah, if you can get him at a discount. @Jay: https://razzball.com/fantasy-baseball-terms/#Saberhagenmetrics — I’m already a proponent. @BKK: haha nice, any ideas on your 1st pick yet? sparrow already thinks cano is gone by the time it gets to him at the 12th pick…. at 9th i dont know what will come to me… hard telling. Grey: Hamilton/Ubaldo for AGone/Marcum. Which side do you like? Thanks. Surprised to see your take on Aaron Hill and other guys who had down years in 2010 and then see that Dan Haren wasn’t on your list. But then again, you went very hitting-heavy in the last 30 spots, so he was probably one of the first guys after #100. Trade in a 5 Keeper League, which side do you like? @Calogero: I think he’s 101. Looks great, can’t wait to dig in. with the 12th pick in a shallow 12-team league (3 OF, no CI or MI), if Wright doesn’t fall to me I am toying with picking Howard and Fielder (or Tex) for my 1B and UTIL slots. Thoughts on this strategy? Downfalls? The site rocks! you helped me to a championship last year (wife spent it already or I would give you a cut) and I am sticking with you again for season 2! – promise to buy u a drink if i win it again this year! @Dirty Jersey: Thanks for the kind words! Yup, I want a power 1st baseman. Have said in numerous posts. @Grey: I’m perplexed with 3B this year. I’m thinking about holding out until the 6th – 7th round for either A-Ram or Alvarez, who ever is left at that point. In your rankings though you have M. Young up at the 55 spot. With his roster spot and trade rumors in mind, do you think he’s safer to go with 1 or 2 rounds earlier? I know he can hit and the Rangers lineup will be sick, but if he’s left on the Rangers and platoon’s for 3B, 1B, and DH, will that hurt his AB’s at all? In the end, I think I’ll end up with Alvarez probably in round 7, and….That’s…OK, ’cause he’s young enough, strong enough, and gosh darnit, people like him. Okay, I’m ready for some baseball. Here are the dudes I’m planning to keep in my 14tm h2h points league. The draft round at which I will keep them in parentheses. This would leave Garza (7), Weaver (8), Sanchez (10), and Feliz (12) on the table as far as pitchers go. It would also leave Kelly Johnson (20), and David Murphy (21) on the table. Would you keep any of them instead of Weeks? @Bobby Nice: He’ll get his 550 ABs. Agreed on Alvarez. @brad: I’d keep the ones you have. You just have too many players, good problem to have. @Tony: I have no idea what the other guys in the league are going to do, but I am quite confident that both you and Sparrow are going 1B, 3B on the turn, which means if Longoria falls to 7 (I’ve seen it happen a few times in mocks), I’ll take him, I want to take Votto assuming he make sit to 7. But, I can see taking Wright as my first pick. If I take Votto, Howard, Teix, or A-Gonz, there is a better than good chance that the other 3rd baseman are gone by the time it comes back to me or I end up with Camryn Diaz’s boy toy. So, how is that for giving you a definitive answer and prolly more than I should have divulged! When I see Y!’s rankings, I am sure my strategy on my first pick will become more clear. Does anyone know what a ringback tone is? If so, have you ever bought one? Would you trade Carlos Santana and Hellickson for Heyward? I know it is a good trade but I love Santana and catcher position is so thin. @Steve: Isn’t a ringback tone a standard feature. I must admit, I had to Google that one, but I have always heard a ringback tone of the phone I am calling. Or is there a subtle nuance that I am missing. @BKK: Sorry – should have been a bit more specific. I’m differentiating between the buzz-buzz you hear while the other person’s phone is ringing and a song snippet or advertising message being played instead. Quick keeper league trade question. What do you think? I like Jennings long term, but Howard this year. grey i know you like howard more then most but arnt you concerned with his protection i dont see pitchers giving him much to hit this year with werth gone? We play C, 1B, 2B, 3B, SS, OF, OF, OF, UTIL, UTIL, SP, SP, SP, RP, RP, P, P and have 5 bench spots. I’ve got a pick, and then two guys will pick, and then I have another pick (that I acquired via offseason trade). I’m targeting EJax and Raburn with these two picks. Good choices? Should I target something else? If you agree with EJax and Raburn, which one should I take first, i.e. which one would you be happier with on my team if the other one happens to make it to me? Thanks as usual for all your help. @Steve: I knew there was something I was missing. So this is propaganda callers to my phone would here instead of the standard ringback. Not something I would purchase, but I could see that being useful for small businesses, but I am sure you are targeting more the individual users. @BKK: ha it doesn’t matter what you just told me, you pick before me so you can do whatever you want! And you’re right it really ALL depends on how Yahoo! ranks these guys. I remember last year they came out with all the big 1B bats like 11-15, it was insanity! haha…. sitting on the turn was like xmas. lets just hope Cano, Cargo, and maybe halladay go early, or before me I should say…. hell throw Tulo in there too! That leaves ALOT of what I want…. 2. 32 catchers will be drafted. McCann is ranked #40 and you write “In two catcher leagues, I would draft McCann and I’d enjoy his 1st baseman-type numbers at catcher.” Would he remain ranked #40 (aka a mid 3rd round option) or would you ever take him earlier? @Steve: I wouldn’t want one. @The Vaporizers: I’d do it. @mets fan: Not concerned about it. @Wilsonian: How can I know if those are good options if I don’t know who else is available? @Cheese: I’d take McCann in the 3rd round there. Yeah, that would make average guys more valuable. @Grey: But think of it, Grey! Every time someone phones you, they hear your signature tune – Livin’ On A Prayer! Seriously, whenever someone pitches these things to us they’re like the greatest thing ever, we’re all going to get rich and go live in the Bahamas together. It’s just that me and my colleague can’t really see the point of the damn things. The US is a mature market, apparently, hence the straw poll. @Grey: good point, I was just meaning if you thought they fit with my team. Sorry for the confusion. Jackson is by far the best SP available and Raburn is probably the best upside bat available. People like Chris Johnson, Dom Brown, Span, Sean Rod, Valencia, and Freese are also available. A couple of closers like Lyon, Rodney, and Hanrahan are also there. Thank man, and sorry for leaving that out. They also go on to state that Morales is underrated, and Dunn is also overrated because of his low average. @Steve: Ha… Yeah, sounds — literally — like a terrible idea. @Wilsonian: Are you punting closers? Take a closer and Jackson. Also, because of the way you list your team, I have no idea what holes in your lineup you have. Looks like you don’t need a 2nd baseman though so pass on Raburn. @Cheese: That gives me a headache. @Grey: well, I was basically looking at picking some up off of waivers, or take someone like League or the like with a later pick. Not necessarily punt closers, but look more for some Ks/9 guys. Still think a closer and EJax is the route? I was looking at Raburn for one of those UTIL spots, thinking he had decent value there. @Wilsonian: Thanks for putting it into context. Jackson and Raburn look fine there. @Grey: no problem, sorry it took 14 posts to get it right. After that second pick I’ll have about 4 more picks and then it’s back to me, if Lyon or another closer is still there, I’m sure I’ll go with one of them. Christmas in February. Loving it. Hey Wilsonian, how about you just let Grey take over your team? I don’t think I’ve ever seen anyone ask for advice pick-by-pick in a draft. Where’s the fun in that? I guess I just put on my grumpy pants today. Maybe it was the effect from the fantasy mag I read the other day that had Juan Pierre as the 11th-rated outfielder, with Rajai Davis right behind him at #12. I seriously laughed out loud when I saw that. I have no idea how some of these guys stay in the biz (but then again, I bought the magazine, so who’s the chump?!). @JoeC: And you just know that Pierre is going to hit his 1 home run for the year when he’s on your opponent’s team in a tight H2H match-up. @ Grey- I see you have B.J. Upton at 67 and Drew Stubbs at 98, aren’t they pretty close to the same player? Why the big gap in draft position? @JoeC: I’m also probably the only one with a 16 team h2h draft going right now with 12 hour pick windows. If you notice, I had my picks (EJax and Raburn) and wanted to know what he thought about those picks with my team? If they were good targets there. How is that different than someone asking who they should target in the late 3rd round in a draft that hasn’t started yet, or someone wanting his opinion on a mock draft? @Grey:You rigged your 3B rankings, right. Originally you had Bautista, Sandoval, Alvarez and Ramirez as 10 through 13. I like this better. You’re good, not only did they change here but you updated the third base rankings too. in wilsonian’s defense , he’s been doing this for 2 years now . @Grey: Great shizz az alwayz Grey! Keep up the great work. Can’t wait for the drafts and season to start. @corey: Cause Stubbs could hit .220 and Dusty may bench him cause Dusty’s crazy. Lot more risk with Stubbs. @BKK: I did rejigger them, yeah. @Grey: Sorry to blow your cover. This was a great list. I’m surprised Greinke is so low. He’s gotten a lot of hype because of the trade, but I still think he’s going to be underrated on draft day and via projection systems because of his fluke ERA in 2010. Even Bill James only gives him a 3.57 ERA projection. Considering he has more upside than any other pitcher in the major leagues, is moving to a contending team for the first time in his career and, depending on your opinion of peak ages, is entering his prime, I’m not sure there’s a pitcher I’d rather have in 2011. What do you think of using the 12th AND 13th pick on power 1Bs? WIll that leave a team too short elsewhere? In holding with your theory being conservative in the first couple rounds, do you consider J. Upton and Heyward conservative picks at the end of round 2 (picks 22, 23)? I have been offered Jason Heyward (5th round) for my Carlos Gonzalez (4th) in a 12 team keeper league. I am tempted to do this. The rest of my offensive keepers are solid: MCab, Teix, Utley, Alvarez, McCutchen. What are your thoughts? How would you rank these 4 outfielders in the order of which you would draft first? I’d like to sign up here for the Forums but when I get to the part of the registration where it ask me to complete the question,”Razzball.com is dedicated to fantasy…” I can’t seem to give the right answer to complete my registration.Is there anyone who could tell me how to complete that please? @Nate: I would say the same order as they are ranked, no? 110 rbis for Crawford? is that a typo? Do I accept this offer?